Artificial Intelligence (AI) technology can be found throughout the modern media landscape. It is being utilised to bridge the gap between the human and machine experience. Many services heavily rely on AI to be able to sift through the massive amounts of data each of us produces on a daily basis. Most of these services are provided for free. Meanwhile, the data and insights algorithms gather about us have become a commodity. The research proposal forming the foundation for this work approached the topic of AI from a variety of angles to get a grip on what it means for the machine to become »intelligent«. 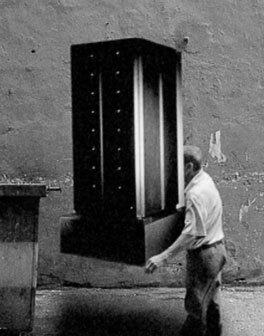 This led to a number of parameters such as »visibility«, »physicality« and »algorithmic gatekeepers«. 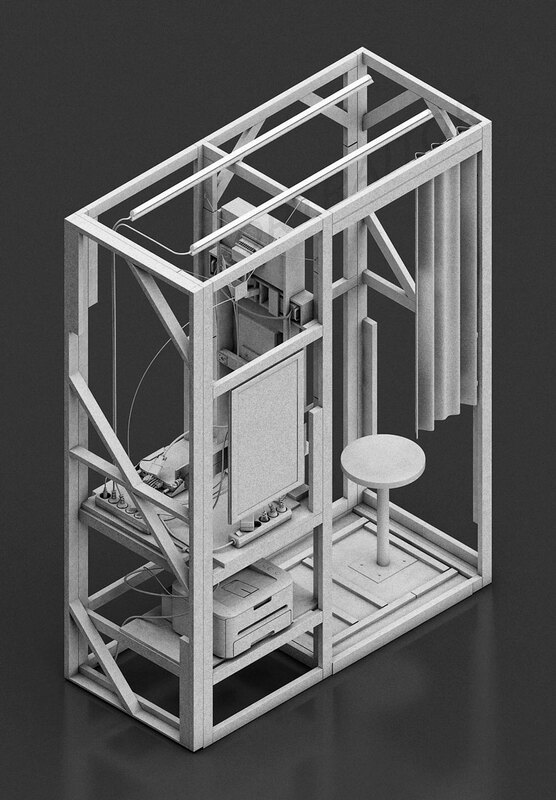 These parameters would set the frame for the interaction proposed in this exhibit. Seeing the ways in which AI technology is used for means of personalization in what Eli Pariser has called »filter bubbles«, an implementation of AI was devised that would spark a discussion on the issues associated with algorithmic decision making in areas and situations that are not yet subject to an automated curation or intervention. Choosing a tangible situation as a stage for the interaction enabled a platform for discussion on the trend of AI entering the physical realm while engaging visitors within a familiar setting. 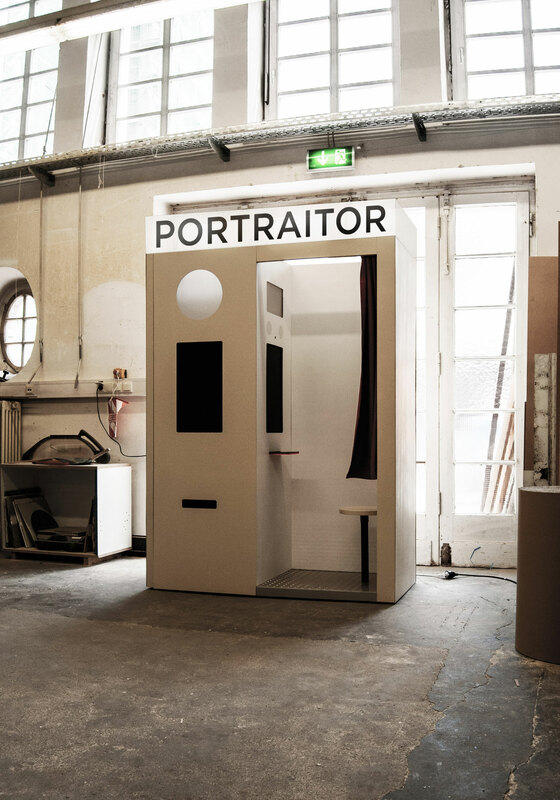 »portraitor« aims to bring attention to algorithmic personalization and data gathering, making visible commonly concealed issues. 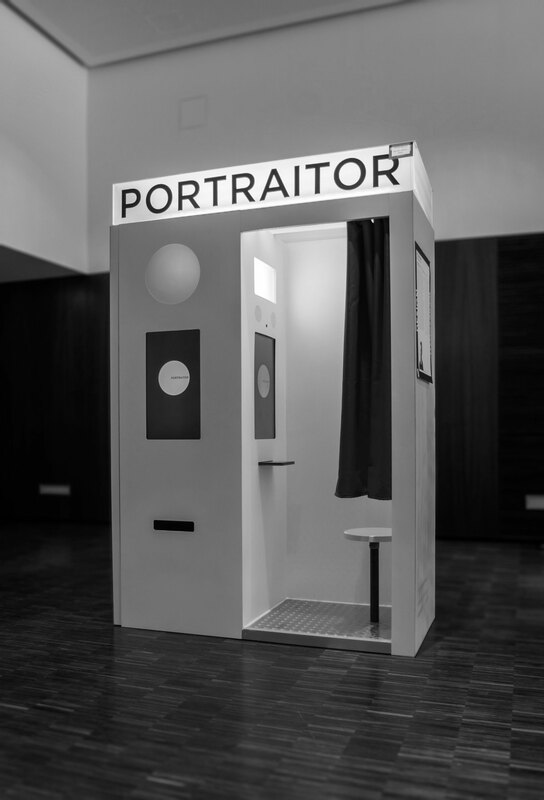 The familiar situation of the photo booth gets augmented with AI technology to shift the interaction between human and formerly lifeless machine. The service relies on the user’s assumed positive connotation with the machine while presenting itself as a gateway to self­ actualization. Throughout the interaction the system builds a behavioural model of the user consisting of not only his visual likeness but patterns in movement, gestures and hidden signals that are being presented to the user after completing the capturing process. portraitor has been nominated for the Kölner Design Preis 2014.